What a brilliant job Inga did for my pup Gertie today. She came out beautiful and totally unstressed.This was her first haircut and it was perfect as she looked immaculate and utterly cute but she looked like herself still. 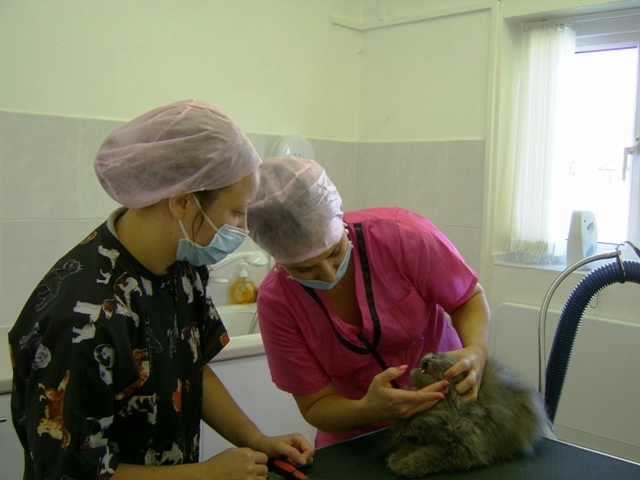 Svetlana is the best in her field and has created a terrific team – she is so knowledgeable, she wants the best for all her animals and I completely trust her. 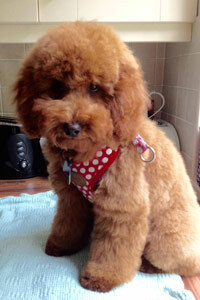 Thank you Svetlana and Inge – it’s lovely to be back with you with my new cockapoo. 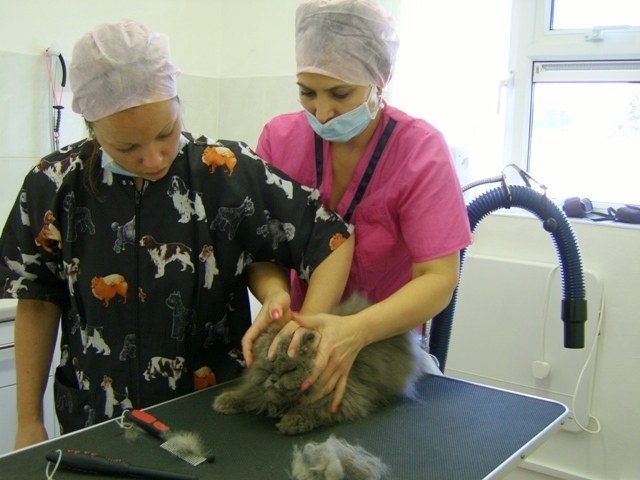 I have a Yorkshire Terrier, who was extremely matted the first time I visited Svetlana at the Cat Grooming Specialist London, mostly all his hair had to be cut off that first time. 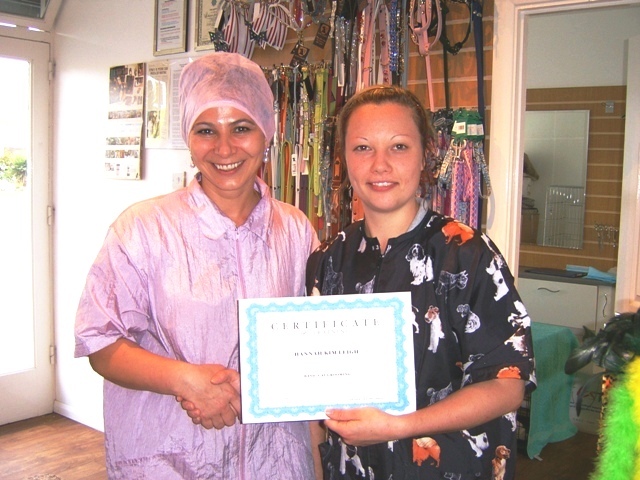 I have been taking my dog to Svetlana for almost 2 years now, she is so welcoming and my dogs coat has never looked better, she even recommended products I could try to keep my dogs coat in great condition. I’ll be taking my dog to her for years to come. 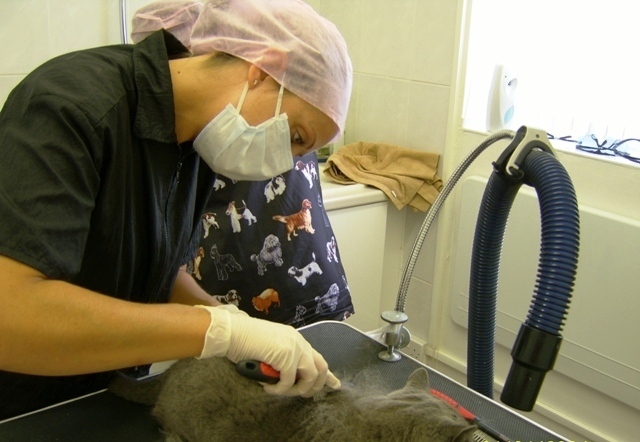 Clemi is my first ever cat and it was also the first ever time I had to take a pet to a grooming parlour. Neitherless to say I was really nervous before, during and after, and during that time I was reassured that Clemi would be in great hands. At the end I was really relieved and happy with the results. 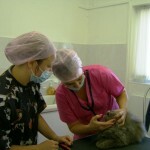 The team was extremely friendly, patient, understanding and professional. I would definitely recommend to a friend and most certainly will be returning! She came home purring! Thank you! You gave my blue persian Tuesday the Lion cut about three weeks ago and you may remember i was very nervous about it, but i have to say you were right. Tuesday loves it and is like a new cat. She was never a particularly affectionate cat, but now she is always on my lap – even now – and constantly demands cuddles. She is grooming and playing more too. So we will defiantely be back as Tuesday seems much happier with her new hair do – even if she is prompting much laughter from everyone that sees her! 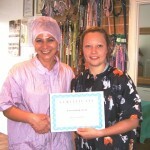 I have been delighted to discover Pet Universe and your wonderful staff. 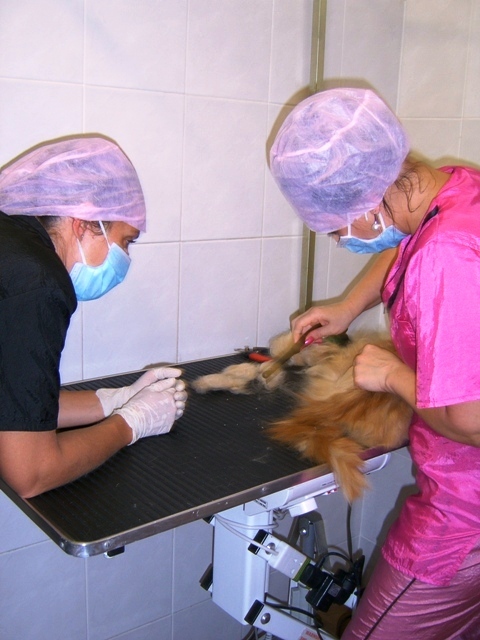 My last dog was so traumatized by her first grooming experience that it took years just to be able to touch her feet again, and I was forced to groom her myself for the next 12 year – which as a disabled person I found very difficult. 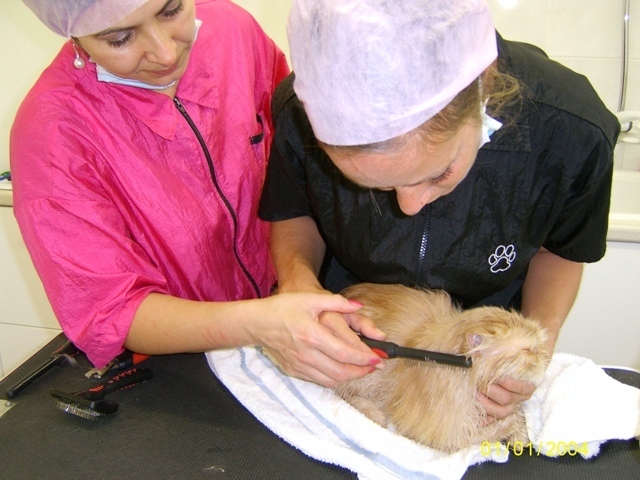 In contrast, our puppies are delighted when they come to the salon, and are happy and confident about touched and groomed as a result of their experiences there. The fact that they also look adorable after their haircuts is a bonus.